I love a good surprise, don't you?! My dear friend Lydia asked if I would like to be involved in a very unique event, a surprise proposal! 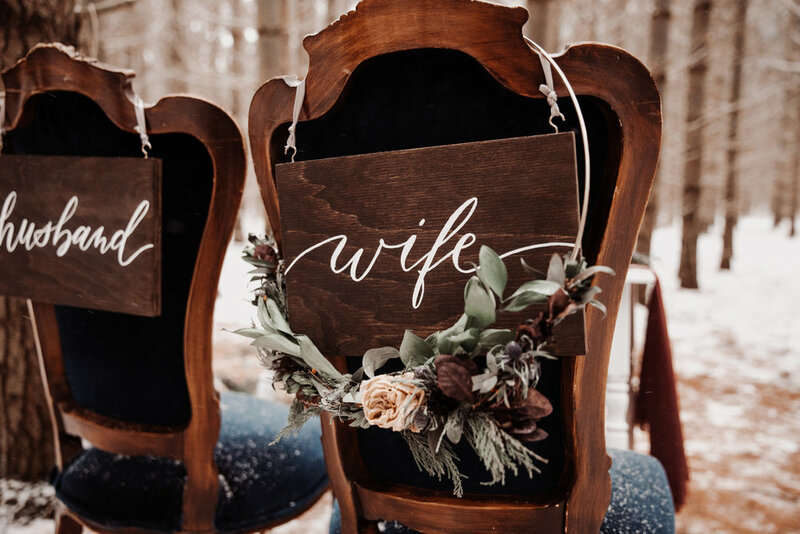 Naturally, I was over the moon to design and be apart of this special moment. 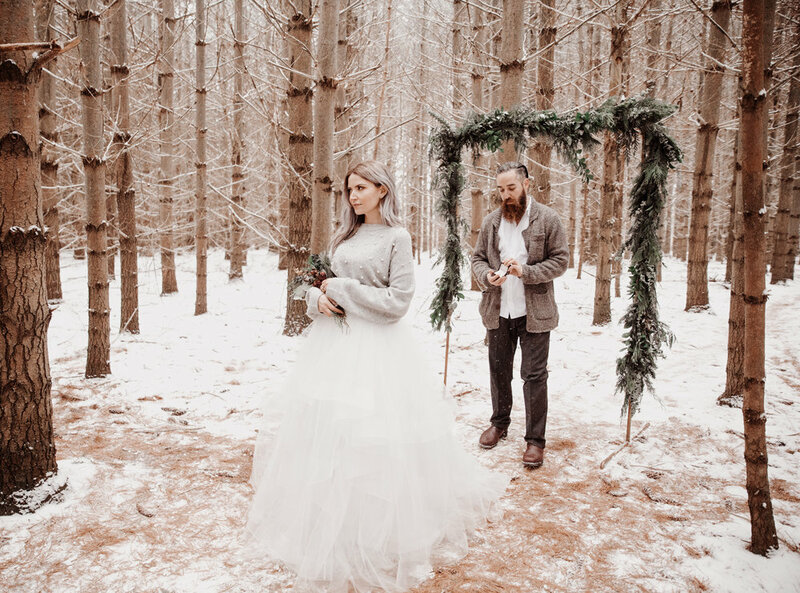 The idea was to plan a mock shoot at the place where Shane and Sarah had originally met, the beautiful pine forrest in Guelph, ON. 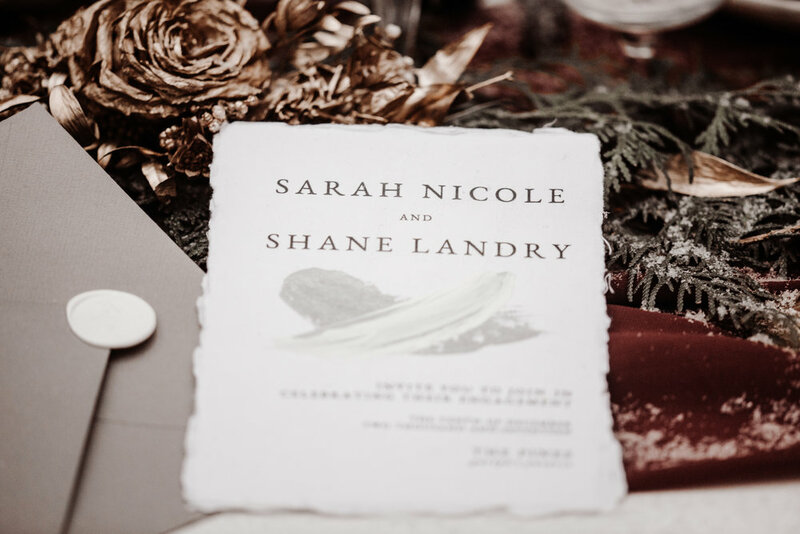 Sarah and Shane agreed to be our models and the plan was set in motion! 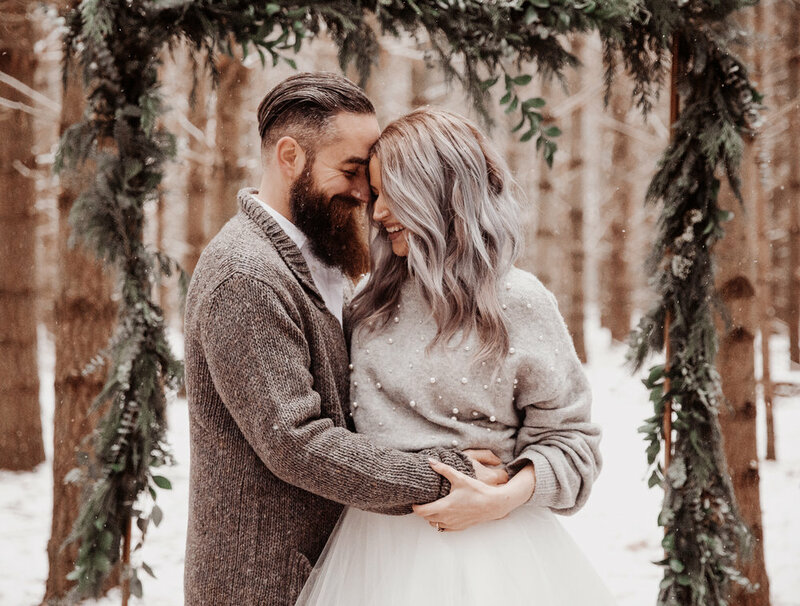 As you will see from the photos, Sarah was completely surprised and said "YES" to marrying the love of her life. Intimate, romantic and all things lovely. 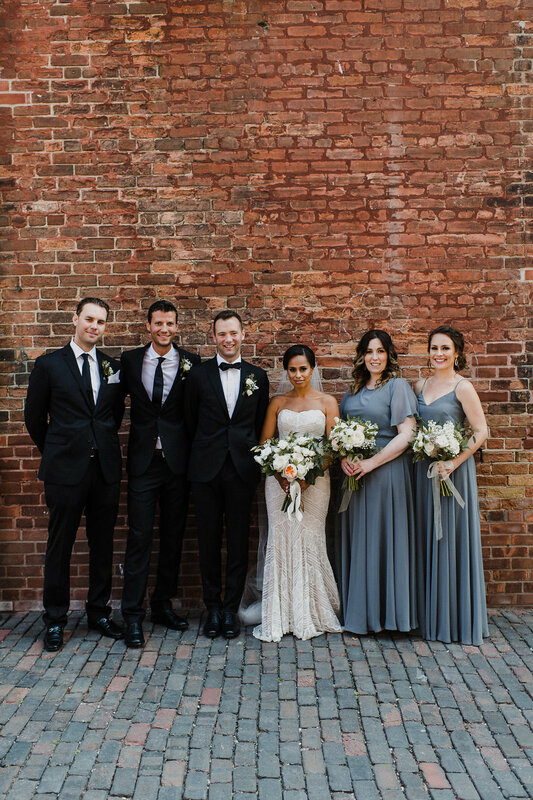 Ryan and Stefanie's romantic wedding in The Distillery District was nothing short of magic. 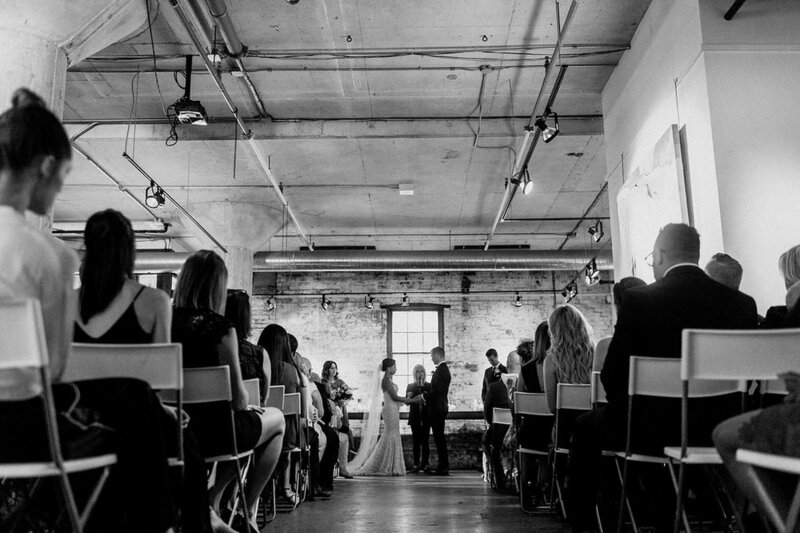 The ceremony took place at Arta Gallery followed by a champagne toast lead by the best man. 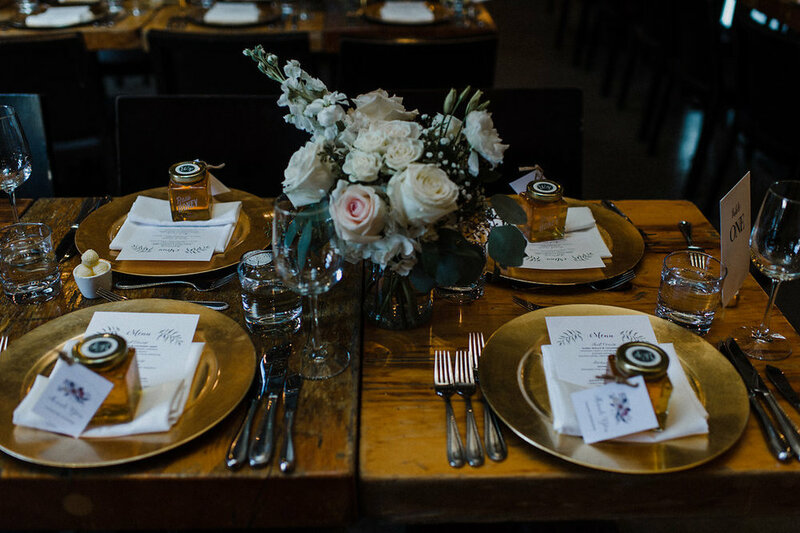 The ceremony decor was simplistic with soft candlelight and two lush floral arrangements. 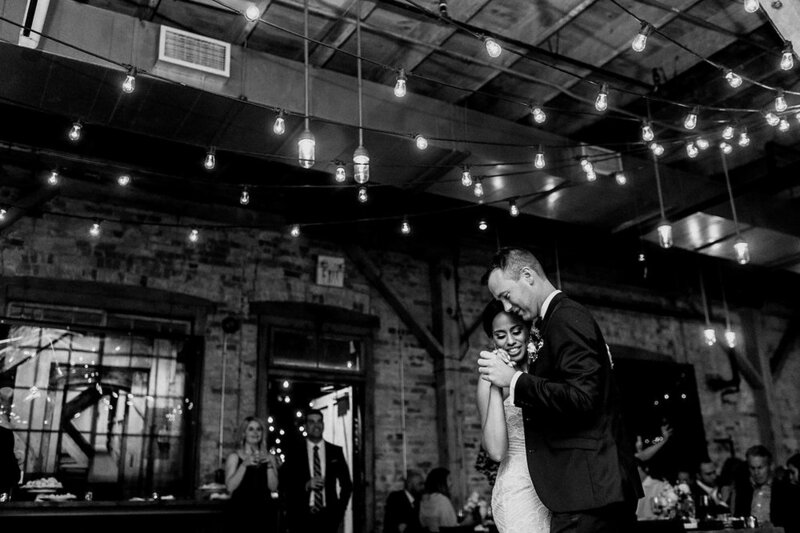 Following the ceremony, guests walked down the cobblestone laneway to Archeo where they would enjoy cocktails and canapés on the patio. 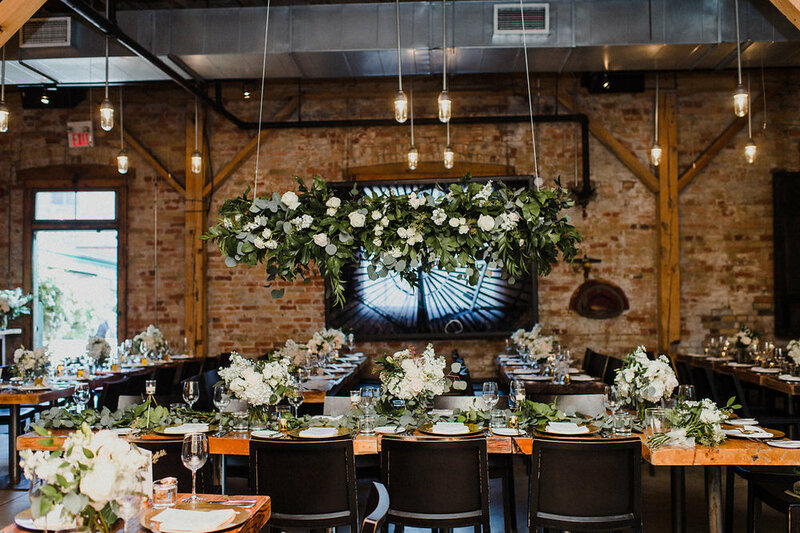 Inside Archeo, a breathtaking floral installation was displayed directly above the head table and was the focal point of the room. Under this installation the bridal party enjoyed dinner and some seriously amazing speeches surrounded by their loved ones. What a celebration it was!